The last cycle of basic course on Universal Treatment Curriculum for Substance Use Disorder for second batch concluded on Friday in Phuentsholing. A total of 38 participants from schools, colleges, hospitals, and counselors from rehabs attended the training. The training was started in January 2018 and was conducted in three cycles. The course developed by the Colombo Plan drug advisory program consisted of 8 courses. Deputy Chief of Bhutan Narcotics Control Agency (BNCA), Dorji Tshering said that the main aim and objective of the course was to reduce the demand of drugs as addiction is relatively new in Bhutan. “There are counselors in the country but most of them are not trained and don’t have an idea on how to counsel,” said Dorji Tshering. “Low to moderate addiction can be handled by them and that way the workload of health officials can be reduced as addiction is not a disease or a health issue,” he added. The participants have been chosen from across the country in order to facilitate the service without the drug addicts having to travel from faraway places, he added. The first batch was conducted in 2013 with 26 participants (counselors, health officials and peer counselors). From 10 peer counselors from the batch, only one could pass and be certified. He said that they couldn’t give opportunity to the peer counsellors this time due to education qualification as the latest course was conducted at the international level. He also said that the recent course conducted was a specialized course and this will help them on how to deal with addicts and on ways to assess, help and provide solutions to their clients. “This is only the way for BNCA to go about. If a student is caught abusing substances for the first time, they will not be handed over to the Treatment Assessment Panel (TAP) and instead, we’ll refer the abuser to the school for counseling. We teach health officials on addiction so that they can counsel from their side and provide necessary treatments,” he added. 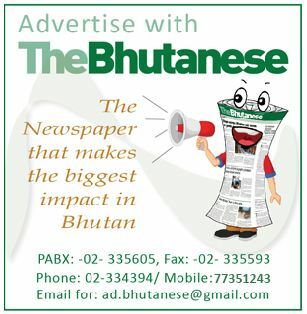 In future, BNCA also has plans to expand the number of participants. Talking to the participants, Dorji Tshering, Chief Medical Officer of Bajo hospital said that a youth visiting the health center with problems related to drugs is not very common. Anybody who falls sick due to alcohol doesn’t face stigmatization, he said, but it is different in cases related to drugs, which is why the youths are less willing to come forward, thus making it even more difficult for the health officials to assess the actual magnitude of the problem. 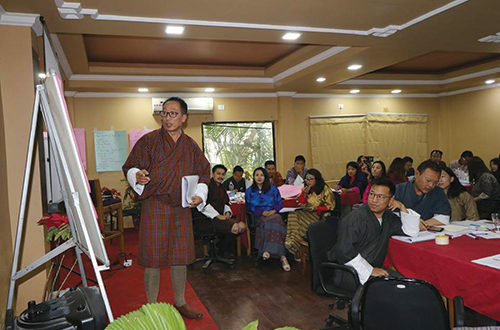 From a health profession’s perspective, Dorji Tshering said that inadequacy of knowledge and skills on how to deal with clients of substance use disorder is the most challenging issue. “Now that a group of us has been trained on this, we hope to somehow manage the issue,” he added. Following up after care with the clients after detoxification is another challenge, he said. “Health workers consider that addiction is completely an issue of different cause. They are more comfortable dealing with the natural diseases and not something related to drugs and alcohol. Thereby, they have the perception that it is more of a nuisance brought in by the individual themselves, further creating nuisance in the society and the system. That sort of mindset within the health sector needs to be changed so that those addicts can get adequate and proper health services,” he added. He also added that those who abuse substances may also be aware that they won’t get the support they need from the hospital and that health officials are not trained enough to help them, which can be another reason the addicts refuse to come forward, fearing further stigmatization.